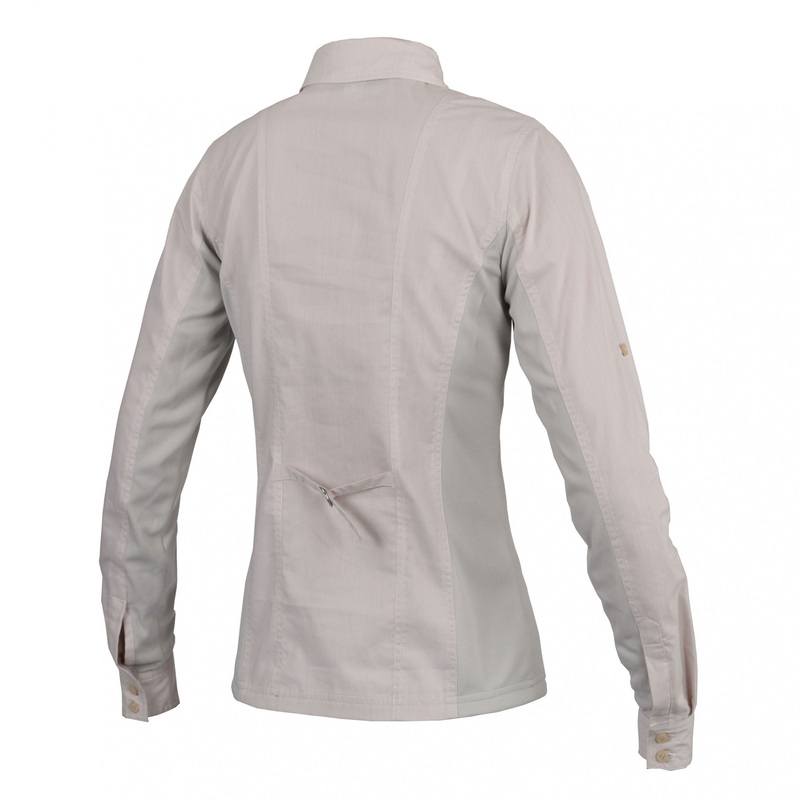 Elegant ladies' training shirt with long sleeve. It's made of fabric that is nice to touch, fastened with buttons. For maximal comfort and proper ventilation there are special inserts made of breathable mesh on the sides and sleeves. On the back in waist there is a strap that allows to fit the shirt. It is decorated with embroidered logo and two buttoned pockets.